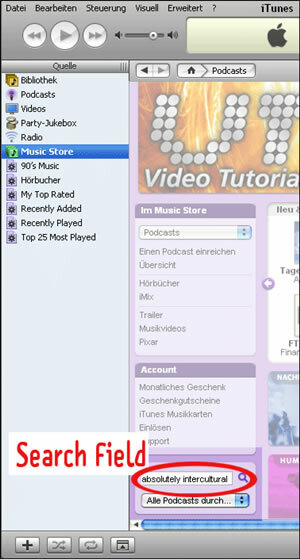 How to use iTunes to subscribe – absolutely intercultural! How to subscribe to the podcast “absolutely intercultural!” Please use the Free Software iTunes from Apple in order to subscribe to our podcast. If you are not a user of iTunes yet, please download the software at http://www.apple.com/itunes/download (size is 35 MB). 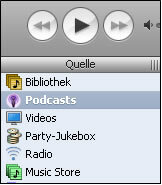 After installing the software, please start it and choose “Podcast” in the left menu of the iTunes software. In the content frame you will get an empty podcast list. To go to the Podcast search page, click on the “Podcast Directory” button at the lower edge of the content frame of the iTunes program. Find the “Abonnieren / subscribe” button and click on it. 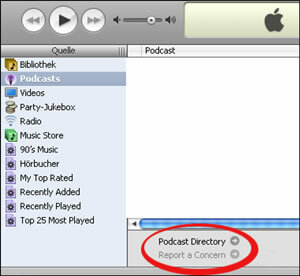 You will be automatically directed back to the Podcast directory of the iTunes software. The first show will be downloaded automatically by iTunes. If you now want to listen to the show using your computer, please double-click on the name of the show and the sound should start. Enjoy! When you go back to iTunes two weeks later and refresh it, it will automatically load any new shows we have put there in the meantime. The shows go on air every two weeks.